This is an update of the 17 September 2018 release of this article analysing the economic costs of climate change on the U.S. economy in 2018. 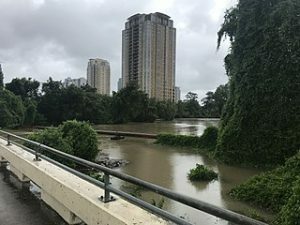 This update integrates the consequences, and especially the costs, of the super hurricane “Michael”, which hammered the Florida panhandle, then Georgia, North Carolina and Virginia, between the 10 and the 14 of October 2018 (Camilla Domonoske, “Michael Will Costs Insurers Billions, but Won’t Overwhelm the Industry, Analysts Say”, NPR, October 14, 2018). 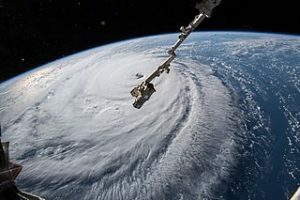 “Michael” took over from “Florence”, the monster storm that hit and battered the U.S. East Coast on 12 September 2018. It looks like a new climate-related disaster “peak”. It could announce a transition towards possibly worse, considering the last 12 months of climate hellish conditions. Thus, a major question arises: is climate change becoming a major risk for the U.S. economy? If yes, how should economic actors react (Jean-Michel Valantin, “Climate Change: The Long Planetary Bombing”, The Red (Team) Analysis Society, September 18, 2017)? Between September 2017, when Hurricane Harvey devastated Texas and Hurricane Irma battered Florida, and October 2018, when super storms Florence and Michael occurred, an impressive series of extreme weather events impacted the United States and its economic actors. 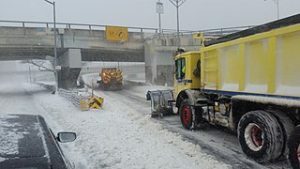 Starting with January 2018, severe storms and tornadoes, including dire Northeastern winter storms, as well as “rain bombs” were identified as being especially numerous and intense (Robert Scribbler, “Strange summer nor’easter drops 3 inches of rain in 45 minutes over D.C Area”, robertscribbler.com, July 28, 2017). From May 2018 onwards, mega-wildfires have been multiplying. They are sustained by the massive drought that is hammering almost all of the Midwest and Southern West half of the United States and that puts water resources and agriculture under pressure (Dahr Jamail, “Global Temperatures Could Double as the World Burns”, Truth Out, July 16, 2018). However spectacular these events, they must be understood as being “only” parts of the multi-spectrum threat that climate change is becoming for the whole of the U.S. economy. The multiplication of marine “dead zones” is a growing risk for American fisheries; ocean rise is already putting under pressure real-estate, urban, touristic, industrial and military developments; aging and weakened infrastructures, especially transport infrastructures, are being pounded by fires, floods, extremes of high or low temperatures, putting transports and thus supply chains under pressure (Paul Gilding, The Great Disruption, How the Climate Crisis will Transform the Global Economy, 2011 and Jean-Michel Valantin, “The Warming Ocean as a Planetary Threat“, The Red (Team) Analysis Society, July 2, 2018). To these risks must be added the financial consequences of the loss of property value with impacts on financial associated values. The cumulative costs of weather and climate related disasters in 2017 reach 300 billion dollars (NOAA). Meanwhile, on the macro level, it must be kept in mind that, despite the best efforts of President Trump, the U.S. economy is still firmly installed at the centre of globalization. As a result, the planetary scale of the “global climate bombing” is having consequences on other national economies that, in turn, have systemic effects on the U.S. economy. In this article, we shall study how climate change has now become a major economic factor that combines with the multiple dimensions of the U.S. economy. In the next article of this series, we shall explore the ways and means for economic actors to develop their resiliency, or even how to turn climate change into an opportunity. In September 2017, hurricane Harvey pounded an unprepared Texas and an already battered and flooded Louisiana. One week later, hurricane Irma landed on Florida, but avoided the most populated and economically sensitive region. Nevertheless, it inflicted heavy blows to Florida agriculture. The added costs of the 2017 hurricane season attained a staggering 220 billions dollars. 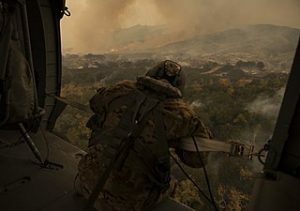 In the same time, from Spring 2017 to January 2018, California had to fight more than 9133 wildfires, 20 of them being among the most destructive wild land-urban fires ever recounted in the history of this state (Brian K Sullivan, “The Most expensive Hurricane Season ever: By the Numbers”, Bloomberg, 26 November, 2017 and Matt Sheehan, “Hurricanes Harvey, Irma, and Maria cost re/insurers $80bn: Impact Forecasting », Reinsurance News, 5 April 2018, and 2017 California Wild fires – Wikipedia). “Other societal costs, including real-estate devaluation, emergency services, and post-fire rehabilitation total about thirty times the direct cost of fire fighting” (Schoennagle et al., in Proceedings of the National Academy of Sciences, April 2017). The cumulative costs of weather and climate related disasters in 2017 reach 300 billion dollars (NOAA, Billion-Dollars related Series of Weather and Climate Disasters: Time Series). Since January 2018, the climate-generation of massive hazards has kept on, with, in January and March, two Northeastern and eastern winter storms. Severe storm weather is definitely not something new in the U.S., but the added costs of these two reaches 3,3 billion dollars, considering that the average cost of two winter storms, calculated after the compilation of the costs of those specific categories of events, is of 1.7 billion dollars (NOAA, Billion-Dollars weather and Climate related Events: summary Stats, 2018). In other terms, the historical intensity of these two storms is perfectly congruent with the anticipated intensification effects of climate change. A series of violent rains and hailstorms hammered the South East during springtime 2018. Their cost reaches more than 3,8 billions dollars, against an average of 1 billion (ibid. NOAA). The 2018 Summer started with a deadly heat wave in the North East and in Canada, where it killed 33 people in June and July. In July, the Spring Creek fire in Colorado turned overnight into a “tsunami” that lasted for weeks. (Mathew Brown, “Driven by climate change, wildfires reshape U.S. West Wildfires in the U.S. have charred more than 10,000 square miles so far this year”, The Denver Post, September 4, 2018). The added costs of all the extreme weather events in the U.S from January to the 9 October 2018, i.e. the day before the landfall of super storm Michael, and thus including “Florence”, was 240 billion dollars (NOAA, “Billion Dollars Weather and Climate Related Disasters: Time Series”). Florence itself may have caused between 20 billion to 30 billion costs in damages (“The Aftermath of Hurricane Florence is Estimated to Have Caused Between 20 Billion and 30 Billion in Flood and Wind Losses, Corelogic Analysis Shows”, Corelogic, September 24, 2018). Given that insurance analysts estimate that “Michael” will certainly cost around 50 billion dollars (“Hurricane Michael to cost almost 53 Billion dollars”, The PerryMan Group, 15 October 2018), the total cost is already reaching 290 billion dollars, knowing that what remains of October, then November and December could bring their own nasty surprises. Those multiple wildfires are growing in surface and thus in costs. In other terms, they are powerful hazards. Yet, one of the definitions of risk is the uncertainty induced by the possible interaction between hazard and stake (Nassim Nicholas Taleb, The Black Swan, The Impact of Highly Improbable, 2008). As it happens, all around the world, hence in the U.S., the reinforcing climate change is becoming a growing generator of hazards, which interacts with multiple economic actors and factors, and thus economic and social stakes (Kimberly Amadeo, “Climate Change Facts and Effects on Economy”, The Balance, 11 September 2018). Those stakes are themselves feeding into each other, and interacting with the society, globalization, and our planet. In other words, the examples used in this article are only a few among many creating the emerging reality framed by the installation of contemporary societies on “Defiant Earth”, defined by the unleashing of the always reinforcing forces of climate and ocean change, also known the Anthropocene Era (Clive Hamilton, Defiant Earth, The fate of the Humans in the Anthropocene, 2017). This means that contemporary societies and economies are literally bonding with the growing climate-ocean change rising chaos and the proliferation of hazards and risks it induces. This hybridization between the U.S. economic evolution and the climate chaos is deepening, because of the multi-spectrum costs induced by climate change. We can see it, for example, in the U.S. agriculture, which is impacted by multiplying and intensifying long droughts, including the current one. If droughts are a recurrent feature of the U.S. climate history, their intensification and combination with the loss of snow packs, diminished stream flows, loss of topsoil moisture, vegetation dryness, and lack of precipitation in the context of shifting climate parameters, is congruent with the effects of climate change. Such phenomena can notably be seen as starting in the 2000s, and more particularly since 2010, with, among others, the 2010-1013 U.S. southeast and Mexico drought, the 2012-2015 American drought, which was an extension of the 2010-2013 situation to the Northern U.S., and the dramatic 2011-2017 California drought (Droughts in the United States, Wikipedia and Peter Folger, “Drought in the United States, Causes and Current Understanding”, Congressional Research Service, 2017). These droughts and numerous heat waves, which happen during those long dry spells, are putting the U.S. agriculture under pressure. Related added costs rise for the farmers: water must be brought to the cattle and the fields, while productivity of the fields decreases, because of the desiccation of topsoil moisture, pests migration, and plant fatigue (Folger, ibid). This loss in productivity is currently being hybridized with the trade-war situation that opposes the US and China. Indeed, China has decided to raise taxes on its imports of U.S. cereals, knowing that China is currently the main importer of U.S. agricultural products (“China Hits US Agriculture with Retaliation“, SouthWest Farm Press, June 16, 2018). Thus, for the U.S. agriculture the costs and uncertainties due to climate change are combining with the uncertainties generated by the trade-war decided by President Donald Trump in April 2018 (David Shepardson, Steve Holland, “Trump Wants $12 Billion to Aid U.S Farmers suffering From Trade War”, Reuters, July 24, 2018, Rick Newman, “Clear Evidence trump’s Trade War is hitting US Farmer”, Yahoo Finance, 15 August 2018 and Ken Silverstein, “Trumps Relationship with US Farmers is soiled Because of Biofuels Stance and Trade war“, Forbes, September 10, 2018). As it happens, since 24 September 2018, the U.S. Secretary of Commerce imposed new tariffs on 200 billion dollars worth of Chinese goods, thus widely escalating the “trade war” initiated by president Donald Trump against China in April 2018. Beijing immediately retaliated with tariffs on 60 billions worth of American goods (Will Martin, “China Hits Back at Trump with Tariffs on $60 Billion of US Goods”, Business Insider, 18 September, 2018). Some analysts and commentators are worried that the new tariffs could backfire and may impact the prices of consumption goods on the domestic market, and thus the U.S. consumer (Scott Lincicone, “Here are 202 Companies Hurt by Trump’s Tariffs”, Reason.com, September 14, 2018). Further, these agricultural and trade uncertainties are combined with the accumulation of damages and costs induced by the intensifying climate and weather disasters, such as Harvey, Irma, Florence and Michael, which are borne by owners of property and land, as well as related activities, insurance and reinsurance. This means that climate change wears out the very fabric of the U.S. economy, while the economy has to face the current national and global economic and geopolitical uncertainties. An other layer of risk is the way the intensification of the trade war is going to have multiple direct and indirect impacts on the economic behaviour of the U.S and China, the two global powerhouses of growth. Meanwhile a question remains to be really addressed by economic actors: how to adapt to the fact that extreme weather events may well be proliferating and intensifying, when the costs of the “destructive destruction” they bring has the potential to overwhelm the “creative destruction” theory embedded within contemporary economic thinking ? For example, if we take into account only what happened in 2017 and 2018 in the U.S Southeast Atlantic and Gulf of Mexico coasts and hinterland, the lingering costs of hurricanes Harvey, Irma in 2017 seem to be of a par with the costs of “Florence” and “Michael”. What will happen to the insurance industry if similar or worse events happen in 2019? In other terms, it is time to think about economic development through the combination of a multipolar and divided world in a time of global planetary crisis. 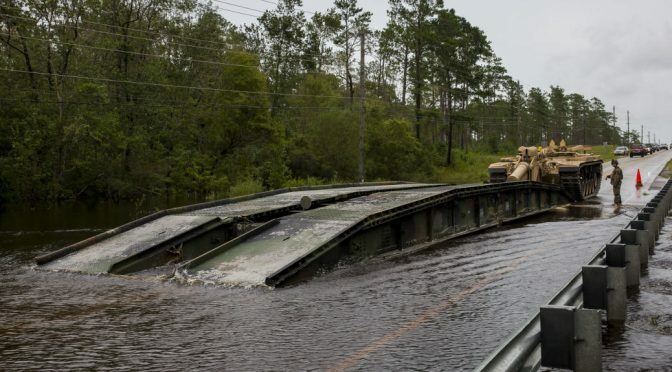 Featured image: PUBLIC DOMAIN – This work, Hurricane Florence [Image 14 of 14], by LCpl Isaiah Gomez, identified by DVIDS, must comply with the restrictions shown on https://www.dvidshub.net/about/copyright. About the author: Jean-Michel Valantin (PhD Paris) leads the Environment and Geopolitics Department of The Red (Team) Analysis Society. He is specialised in strategic studies and defence sociology with a focus on environmental geostrategy. His latest book Géopolitique d’une planète déréglée was published in November 2017 by Le Seuil.